Wondering what an education steeped in nature looks like? At Santa Fe Waldorf, we take our Think Outside motto seriously. Students are taught to become stewards and adventurers of the great outdoors through our distinctive, curriculum-based Wilderness Education Program. From elementary to high school, our students experience so much more than the standard field trip or overnight class camp out. 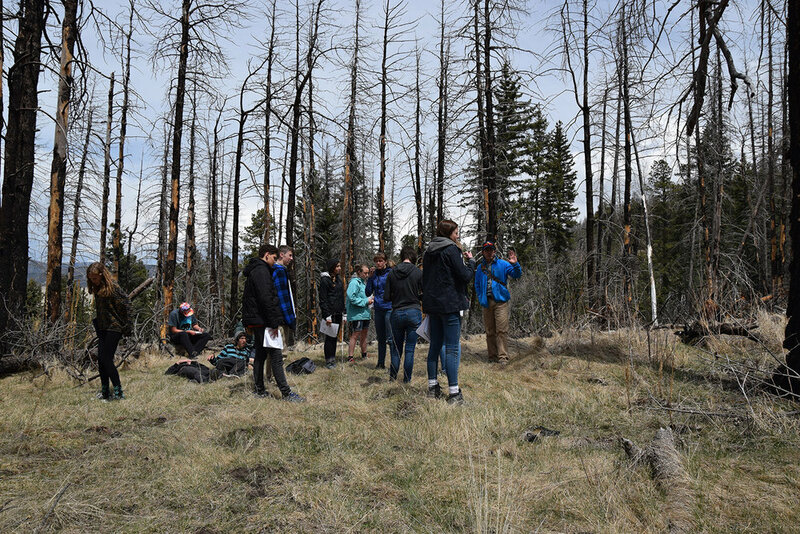 Our Outdoor Education Program includes off-campus field courses in Organic and Biodynamic Farming, Forest Ecology, and Ancestral Pueblo Archaeology, among others. And on campus, students stargaze as part of middle school Astronomy class or cultivate and harvest the school’s prolific garden. Age-appropriate Outdoor Education trips are either lesson based—such as discovery of Carlsbad Caverns National Park as part of sixth grade Mineralogy Studies—or pure adventure, including backpacking deep into Utah’s Dark Canyon as a junior, or white water rafting as a middle or high school student. These outdoor experiences ground students, teach them to work cooperatively, and appreciate and protect the beauty of nature. From the first grader’s introductory camping trip on our beautiful 13-acre campus, to the unique 24-hour contemplative wilderness solo seniors complete to launch their study of the Transcendentalists and the writing of their personal college application essays, we Think Outside!